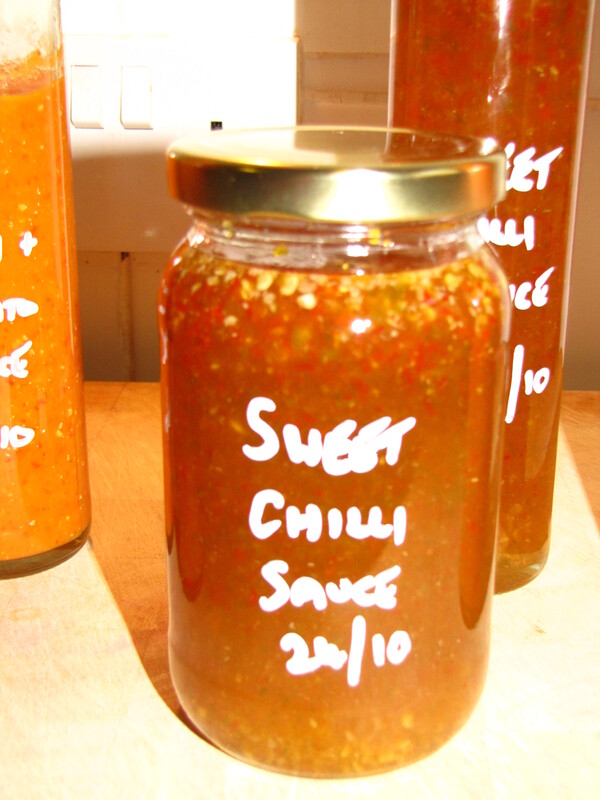 Note: I used a mix of green & red chillis – visually the output was a little ‘brown’. Don’t let this put you off. Stick with red or green only will give you a really vivid colour, but mixing both still tastes great. Return to the heat for another 15-20 minutes to develop the flavour. The sauce will continue to thicken arounf the syrup. Add a little water to maintain a thick ‘pouring’ consistency.